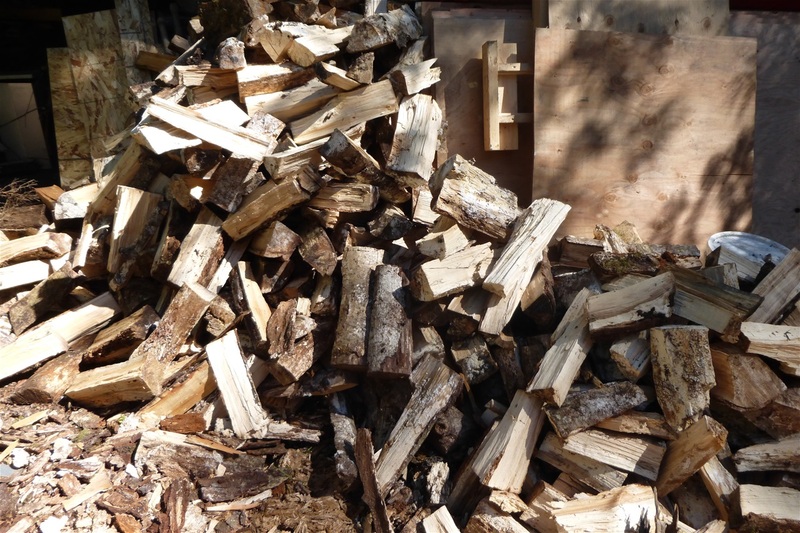 We like using fir and cedar for kindling but, as you can see, this is "Alder" wood which is one of the best hardwoods as it doesn't do the sparking and little pitch explosions and burns nice and hot when seasoned. However, keep in mind that "Alder" wood does get a lot of mold when stored so not so good to use when you have lung issues. Alder is excellent and the best to use for "Smoking Salmon" but requires you peel the bark off branches before use. Our wood has been seasoned for a year bringing our consumption to a minimum as the wood not only burns hot, but burns slower. When you have unseasoned wood, the wood that is "green" doesn't burn hot or efficiently and you end up with a cold room, and using double what you would if it was seasoned. The ideal, is to season your wood for a year and then you will only consume half of what you would with green wood.